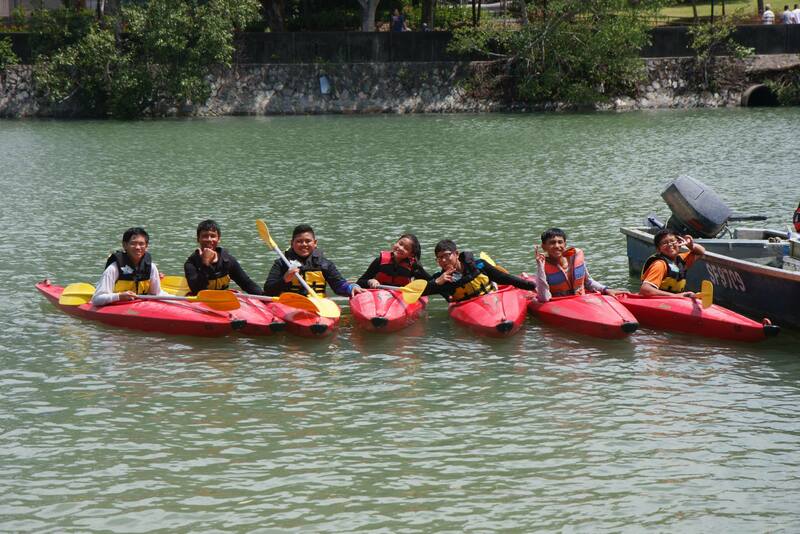 A 1 Star Kayaking Course was held for the secondary 1 to 3 cadets, on the 30 and 31 August. 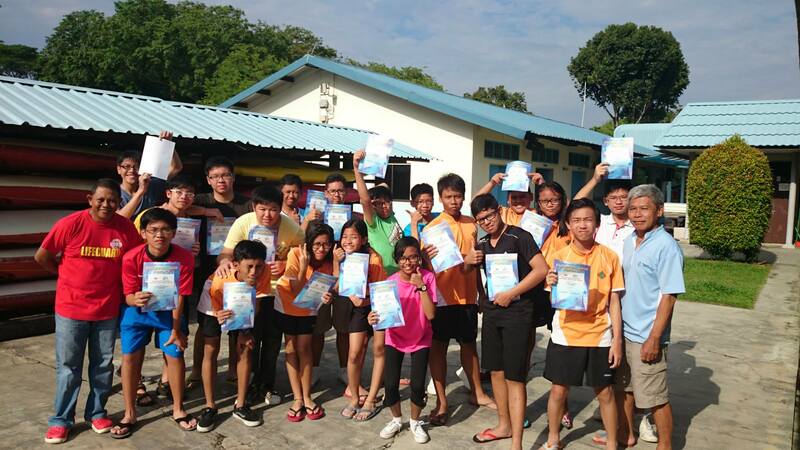 The course was held at Water Venture @ Changi. Before the actual kayaking session starts, the cadets are first introduced to the fundamentals of Kayaking. For example, paddle handling and water confidence. 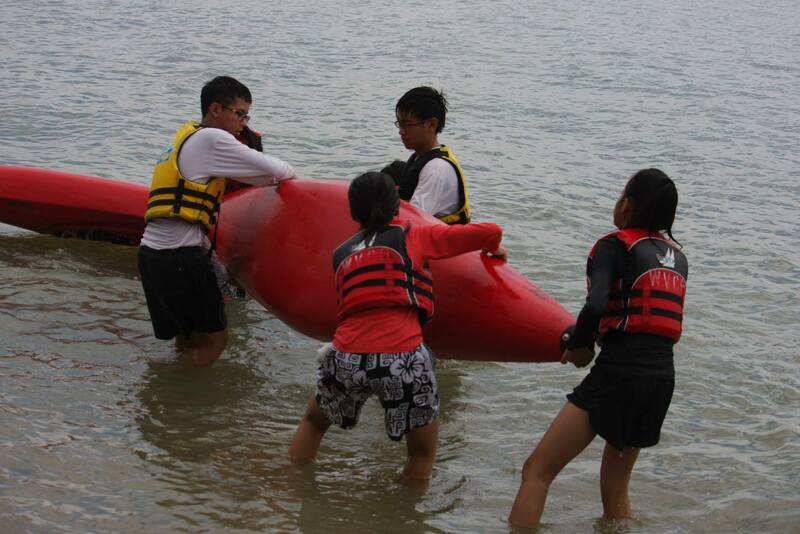 The cadets were also taught on how to handle the situation if the kayak were to capsized. Drills were introduced to them to ensure that safety measures were met. 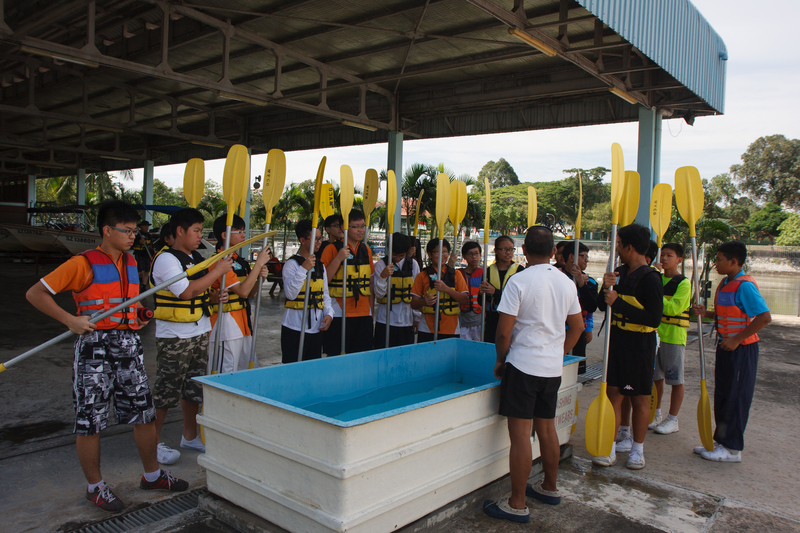 After the fundamentals, the cadets were also taught on different strokes to maneuver the kayak in the water. 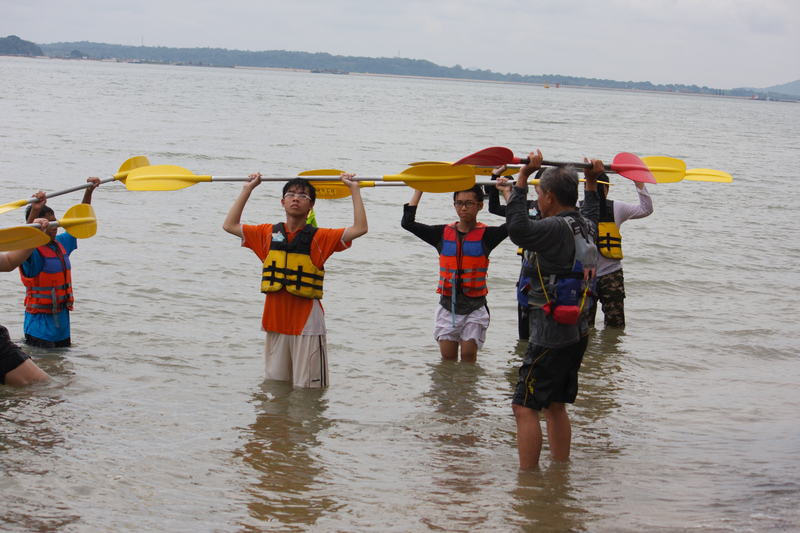 The cadets had the chance of paddling through the waters of Changi. After two days of being under the hot sun, a test was conducted and the cadets were eventually awarded the 1 Star Kayaking Certificate. Through this course, besides having fun and learning how to kayak, we hope that the course had also allowed the cadets to bond together on a unit basis. We also hope that the cadets had gained something out of this course, be it self confidence, new friendship formed and etc. The moments spent together as a unit would certainly be something good to look back to as years goes by.